Interrogation gone wrong, rogue killers: What happened to Saudi journalist? The shifting storyline defied earlier details that emerged in the case, including signs he was murdered and dismembered. 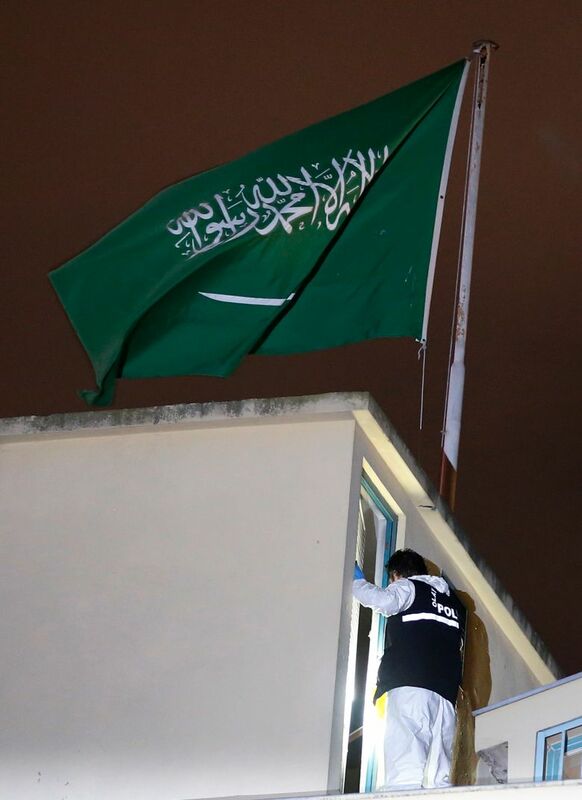 Turkish officials said an autopsy specialist carrying a bone saw was among 15 Saudi operatives who flew in and out of Istanbul the day Khashoggi disappeared. 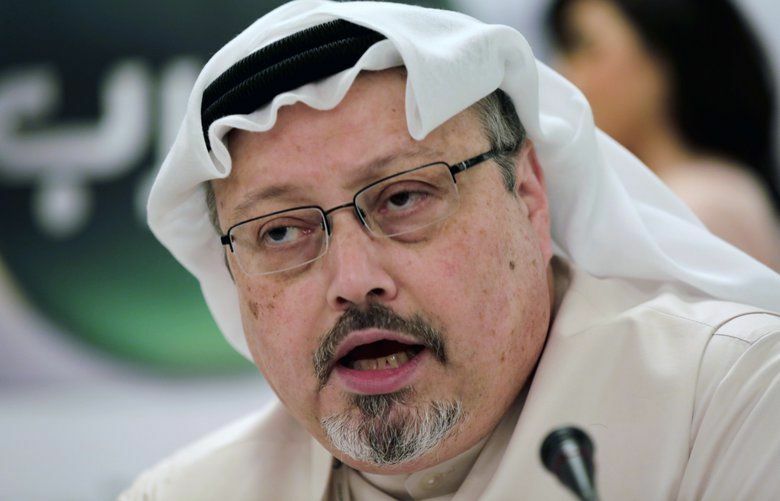 WASHINGTON — Saudi Arabia was preparing an alternative explanation of the fate of a dissident journalist on Monday, saying he died at the Saudi Consulate in Istanbul two weeks ago in an interrogation gone wrong, according to a person familiar with the kingdom’s plans. The shifting storyline defied earlier details that have emerged in the case, including signs that he was murdered and dismembered. 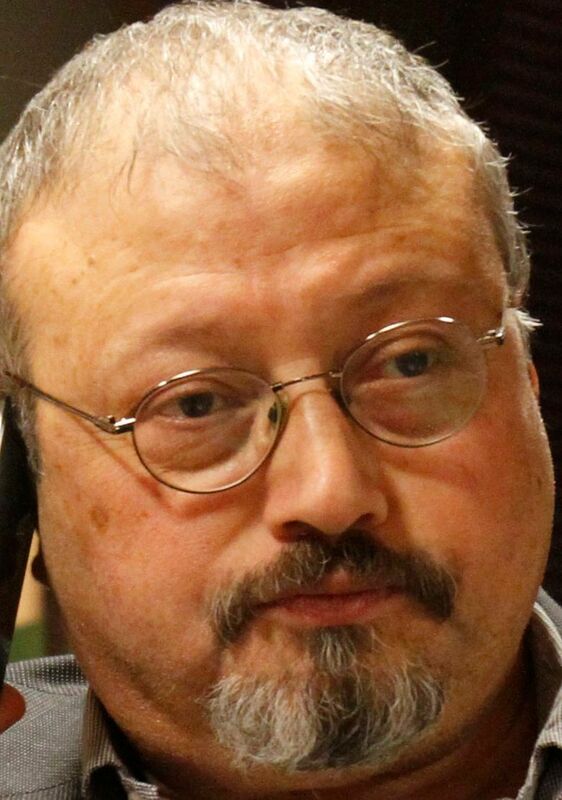 Among other things, Turkish officials have said, an autopsy specialist carrying a bone saw was among 15 Saudi operatives who flew in and out of Istanbul the day Khashoggi disappeared. The new explanation, whatever its truth, seemed intended to ease the political crisis that Khashoggi’s disappearance has created for Saudi Arabia. The new story could also defuse some criticism of the Trump administration, which has refused to back down from billions of dollars in weapons sales to the kingdom and as of Monday was still planning to attend a glittering Saudi investment forum next week. And it could help Turkey, where a shaky economy would benefit from a financial infusion that low-interest loans from Riyadh could provide. But the theory was widely dismissed among Khashoggi’s friends, human-rights advocates and some on Capitol Hill, who noted that Saudi officials had denied his death for two weeks — including assertions by Crown Prince Mohammed bin Salman last week and the king himself Monday. Trump spoke with King Salman of Saudi Arabia on Monday morning in a 20-minute phone call. The president said the king denied any knowledge of what had happened to Khashoggi, a columnist for The Washington Post who had been critical of the crown prince. “It sounded to me like maybe these could have been rogue killers — who knows,” Trump said, speaking to reporters as he headed to visit areas in Georgia and Florida that were ravaged by Hurricane Michael. Trump also said he told the king: “The world is watching. The world is talking, and this is very important to get to the bottom of it.” The Saudi state news service reported a different take on the conversation, in which Trump praised the cooperation between the Saudis and Turkish officials as they investigate Khashoggi’s disappearance. Turkish officials have said Khashoggi was killed and dismembered after he disappeared in the Saudi Consulate in Istanbul two weeks ago. Later Monday, a person familiar with the Saudi government’s plans said that Khashoggi was mistakenly killed during an interrogation ordered by a Saudi intelligence official who was a friend of the crown prince. The person, who spoke on condition of anonymity, said Crown Prince Mohammed had approved interrogating or even forcing Khashoggi to return to Saudi Arabia under duress. But, the person said, the Saudi intelligence official went too far in eagerly seeking to prove himself in secretive operations, then sought to cover up the botched job. Azzam Tamimi, an Islamist friend of Khashoggi, called the “rogue” theory “disastrous” for the credibility of President Recep Tayyip Erdogan of Turkey. “The Turks have leaked so much that it is inconceivable that they would settle for less than telling the world exactly what happened,” said Tamimi, who met Khashoggi for lunch in London the day before he disappeared. Trump dispatched Secretary of State Mike Pompeo to Riyadh on Monday to meet with the Saudi king. “Determining what happened to Jamal Khashoggi is something of great importance to the president,” said Heather Nauert, the State Department spokeswoman. The Saudi ambassador to the United States, Prince Khalid bin Salman, left Washington last week, returned to Riyadh and will not be returning, a current and a former U.S. official said Monday. It was not clear when he might be replaced, or by whom. Prince Khalid is the crown prince’s younger brother. The Saudi Embassy in Washington also canceled its National Day party, which was scheduled for Thursday. Washington’s clubby diplomatic and lobbying worlds have been rived by the Khashoggi case. On Monday, the Glover Park Group, which had a $150,000-per-month contract to represent the Saudi government, and the BGR Group, with an $80,000-per-month contract, both ended the relationships, according to people familiar with the situations. Their actions followed a similar move by the Harbour Group last week. Advisers close to Crown Prince Mohammed said he was shocked by the universal condemnation after Khashoggi’s disappearance. That has firmed up a growing belief in Western circles that the prince who fueled a war in Yemen to the point of humanitarian disaster, imposed an intemperate blockade against Qatar, arrested a clutch of Saudi elites for money and took two weeks to come up with a passable explanation for Khashoggi’s fate is not ready for the throne. “Many in Washington have reached the conclusion that this is a guy we can’t do business with,” said Gerald Feierstein, the director for government relations, policy and programs at the Middle East Institute, a nonpartisan think tank, and a former U.S. ambassador to Yemen. Within five days of Khashoggi’s Oct. 2 disappearance, Turkish security officials claimed anonymously that they had obtained evidence that the journalist was killed inside the consulate. The evidence never surfaced, however, and the claims stopped after a sudden increase in high-level diplomatic contacts between Turkey and Saudi Arabia. That frustrated U.S. intelligence and diplomatic officials, who worried that the Turks were citing the evidence as leverage to get loans from the Saudis. U.S. intelligence agencies had previously intercepted communications of Saudi officials discussing a plan to draw Khashoggi back to Saudi Arabia from his home in exile in the Washington area and then detain him, a former senior U.S. official said last week. Those intercepts were shared with senators in classified materials last week, making it impossible to suppress them. It is highly unlikely an attempted rendition of Khashoggi could have been carried out without the knowledge of Saudi rulers. For the Trump administration, Khashoggi’s case risks top foreign-policy priorities. Trump has repeatedly said he does not want to risk what he claims is $110 billion in arms sales to the Saudis. And ensuring Riyadh’s willingness to increase oil production so that coming sanctions on Iranian oil do not lead to a surge in gas prices has been at least as important. Trump previously said the episode would not have an effect on U.S. relations with Saudi Arabia, a close ally in the Middle East. But Trump was already facing pressure from some in Congress to respond to the Saudis with economic sanctions. As of Monday, the Treasury secretary, Steven Mnuchin, still planned to attend an investor conference in Riyadh this month where Crown Prince Mohammed was expected to speak. Some U.S. companies that had planned to attend the conference, including The New York Times, have pulled out since Khashoggi’s disappearance. Khashoggi moved to Washington after Crown Prince Mohammed began a kingdomwide anti-corruption crackdown, including efforts to silence dissidents. The columnist is one of the best-known news-media personalities in the kingdom and has been a confidant to several previous kings and princes.